I have a waistcoat pattern that I've used several times before - the Laughing Moon #109 frock coat with waistcoat (I've also used the frock coat pattern, early in my sewing career, and at that point vowed I'd never make another frock coat; now I can't wait to make more). This time, however, I decided to draft my own pattern. 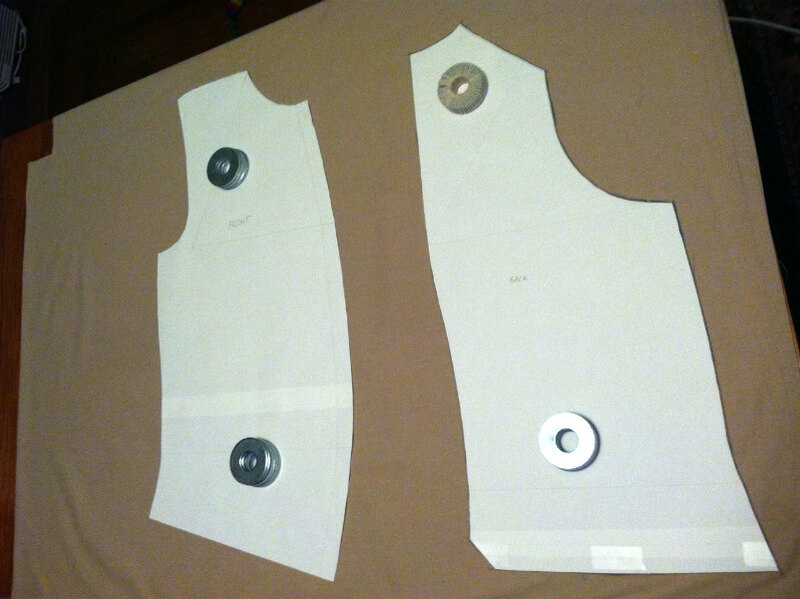 I wanted two things: first of all, to have the back fit properly, without needing an adjustable belt, and second to have a basic pattern block that I could alter to make different styles of waistcoat. Now take Vincent's Registered Square, and place the angle line sloping down ¼ in front, and with the corner on point 2¼, and draw line up to A, and make 2¼ to A the front shoulder measure less ¼in., having deducted the width of back neck; so that in this case O to A is 9¾, that quantity being arrived at as follows 12½ less ¼ equals 12¼; from this take 2½ for the back neck, and you get 9¾. 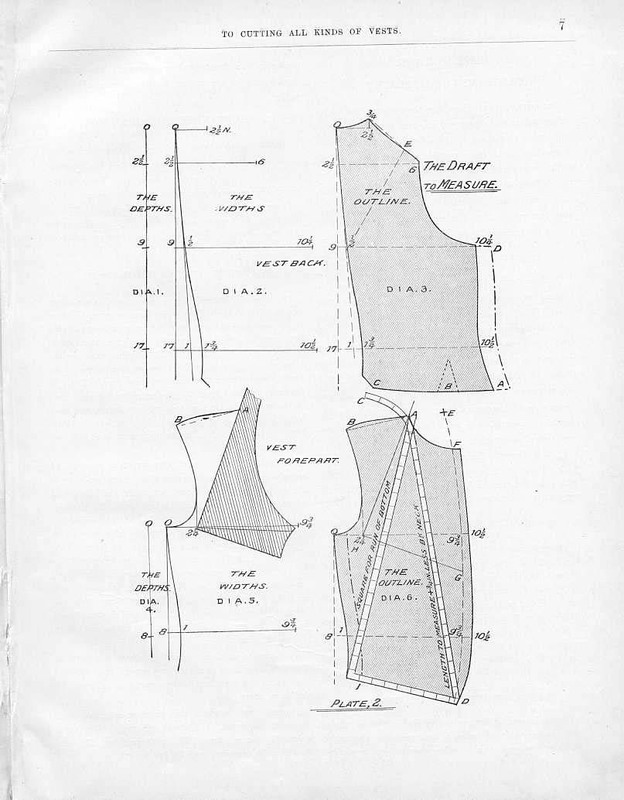 From 2¼ to 9 apply the over-shoulder measure less ½ E of the back, Diagram 3. Thus: ½ to E 8½ leaves 8½, but from this we also take ¼in., as with the front shoulder. The width of the shoulder from A to B is made ¼in. less than back from ¾ to 6, Diagram 3. Now shape scye from B to O.
Riiiight. Never mind that all of the points referenced (the numbers) are based on an example set of measurements, and that your numbers will all be different. I muddled through somehow, and ended up with a pattern that looked like the one in the example (except for the slightly rounded midsection to accommodate my slightly rounded midsection). I cut out a quick muslin, and discovered very quickly that having a personal tailor's form of my body would be great. I have a mannequin body that my wife got for me from the trash (yay, trash! 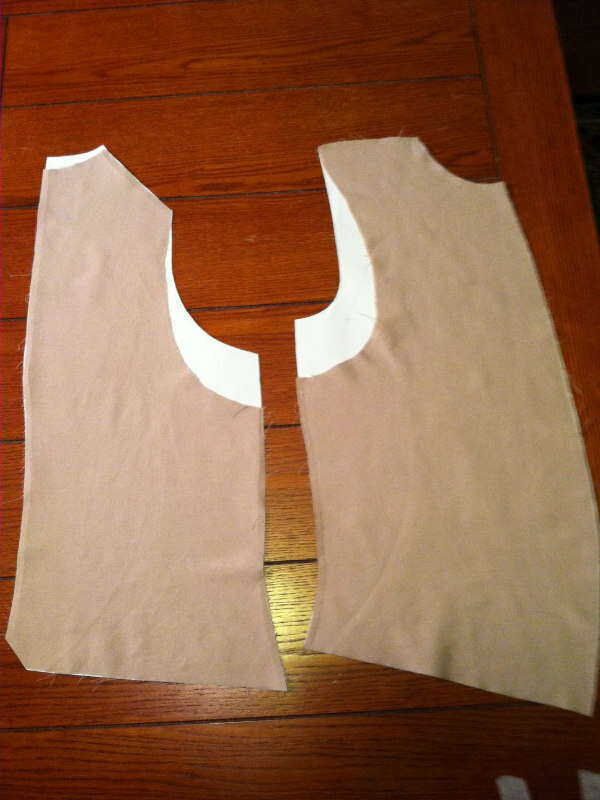 ), but he's a little manlier in the shoulders and chest than I am, so this form-fitting pattern won't fit him. I also found that the images of taking measurements show having the measurements taken over a waistcoat on purpose. You're supposed to wear the garment you're measuring for. Which seems a little odd to me, but then again it makes sense that you're then basically copying the measurements of a garment that you know fits you. I had only been wearing a shirt when I was measured, so the waistcoat was pretty snug. The last thing I discovered is that I can't draw an armscye to save my life. The final image here is of the altered armscye that will actually fit around my arms (it's a little lower I think than the example diagram expects it to be, but I'll be able to play with that later). I reduced the height of the back of the neck. I'm also going to add some seam allowances on some of the edges to give it a little more play. The next step will be to make a test garment in muslin before I finalise my pattern. That will also allow me to make pattern pieces for the other bits of the waistcoat that aren't in the initial draft: the collar, the facings, the lining, the canvas, and the pockets and pocket welts. Ha, ha, I'm struggling with those very instructions from CPG right now. What the heck is a Vincent's Registered Square? And then moving on to the corpulent figure disproportion they seem to change to a new and unspecified set of measurements. Waistcoats look absolutely wonderful on both men and kids. However, Boys Waistcoat Suit looks fantastic and every kid in formals, look adorable. 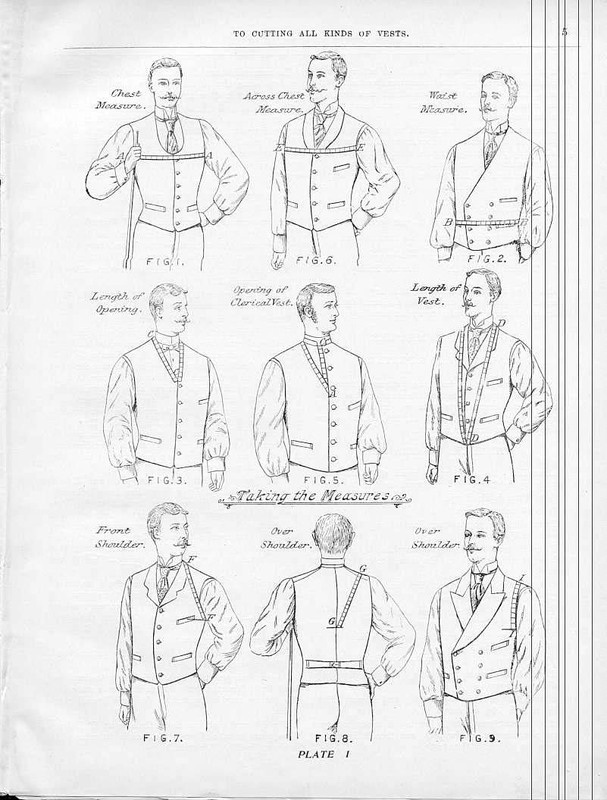 You can also make a good waistcoat at your home, with these mentioned tips.